Read all about award-winning author Karen Tyrrell and her empowering book for children – Song Bird Superhero; just in time for the National Day of Action Against Bullying and Violence. With today being the National Day of Action against Bullying and Violence in Australia, today is the perfect day to introduce you to author Karen Tyrrell. Karen is an award-winning author who writes books to empower kids (and adults) and help them live strong and be resilient. After many years of classroom teaching experience, she continues to educate through sharing her own story of resilience as a survivor of bullying, through her words on the page, and through her workshops for adults that deal with writing, marketing, and funding, in addition to empowerment. She presents workshops for children in schools, libraries, and other creative spaces. With her flair for costuming and performance, she always conducts entertaining sessions with a splash of fun staring in her own scripted pantomimes. In her first book Me and Her: A Memoir of Madness Karen tells of the bullying she experienced as a teacher, and of her remarkable survival story. Her second, Me and Him: A Guide to Recovery tells of the important role of her husband as support on her journey back to health. From there Karen has gone on to write a number of children’s books, including Bailey Beats the Blah and STOP the Bully, both of which are endorsed by Kids Helpline. She won an RADF (Regional Arts Development Fund) grant for her picture book Harry Helps Grandpa Remember about memory loss and strategies for remembering. Karen’s three Junior Fiction novels Jo-Kin Battles the It, Jo-Kin vs Lord Terra, and Song Bird Superhero share positive messages of self-belief, resilience, team building, problem solving and STEM science; each with a good dose of humour included. It is Song Bird Superhero, a book for readers of about 7 – 10 years, that Karen and I are discussing today. This entry was posted in Early childhood education, Education, Family, Favourite reads, memoir, Teaching resources and tagged anti-bullying, books for girls, bullying, empowerment, junior fiction, Karen Tyrrell, resilience, Song Bird Superhero, STEM on March 17, 2017 by Norah. If I had the ability to bestow upon each of you a super power of your choosing, what would you choose? I’m sure you’d be eager to accept with a suggestion immediately. I am not an exception. I would love to be able to control time, to make it go faster or slower when I want, and basically to just have more of it. But the reality is that each of us reading this post, myself included, already has one of the most amazing super powers available: the ability to read. Living in a print saturated world as we do, the ability to read is essential for full participation. Not surprisingly, but perhaps also a little sadly, those of us who can, tend to take it for granted. I am a compulsive reader. I read everything everywhere. I wish I could stop myself reading the signs on the back of the toilet doors for the umpteenth time, but it’s virtually impossible. This is not my genre of choice. Many of us bemoan the fact that we do not have enough time to read all the wonderful material available to us. Time is not my only reading frustration. As I age my eyesight is changing and even with the assistance of reading glasses I struggle (and often fail) to read the fine print on labels or in instructions. Not only that, my eyes tire more quickly now than ever before and the physical act of reading is not as pleasurable as it once was. However, even with these frustrations, I am one of the lucky ones. Not everyone in the world is as fortunate as I with my lack of time and failing sight. While the literacy rates around the world are improving, there are still too many suffering the disadvantages that result from inadequate opportunities to acquire an education in general, and specifically, the ability to read. Even in our midst there are those who, for various reasons, have failed to become literate. Empowerment – the importance of having a voice. This week at the Carrot Ranch Communications Charli Mills is talking about power and has challenged writer to in 99 words (no more, no less) write a story that explores the question, “What good is power?” What choice did I have but to discuss the empowering effect of reading, an ability that is a right of everyone. Thank you for using your Super Power. I appreciate your feedback. Please share your thoughts. This entry was posted in Alternative / non-traditional education, Education, Flash fiction, Literacy education, Quotes, Traditional schooling and tagged education, empowerment, learning, literacy education, power, Reading, teaching, Writing on February 8, 2016 by Norah. A constant thread running through posts on my blog is the importance of reading to and with young children every day. 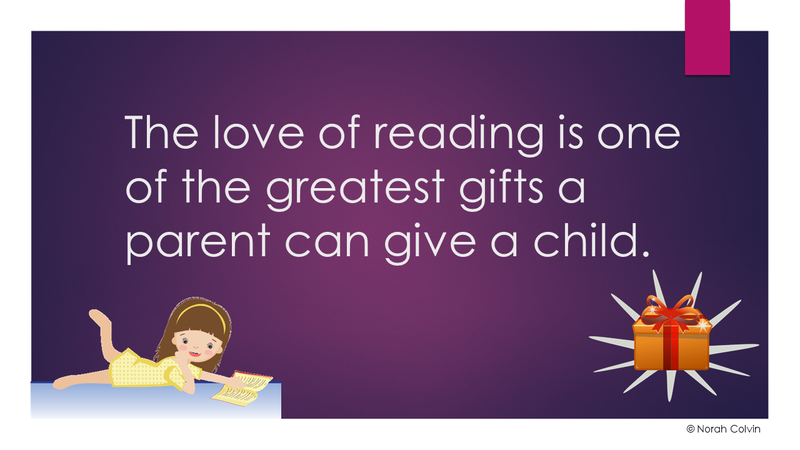 I have often said that passing on a love of reading is one of the greatest gifts a parent can give a child. The ability to read for information and for enjoyment is empowering. It allows one to take charge of one’s learning and one’s recreational pursuits. While my focus is specifically on early childhood, I am interested in education at all levels. I was pleased therefore to recently see a post about the importance of reading for older students. In his post The Power of Reading, Trevor Pilgrim discusses the “correlation between extensive critical reading and higher academic achievement” through the acquisition of knowledge and understanding of abstract concepts. He makes a link between reading of fiction and the development of emotional intelligence. He goes on to list the important role of reading in the academic lives of students. This entry was posted in Early childhood education, Education, Literacy education, Traditional schooling and tagged comprehension, critical literacy, empowerment, Knowledge, learning, Reading, teaching on August 21, 2015 by Norah. The author has been told many times, already knows and isn’t going to do anything about it. The author is tired of being told he is wrong and doesn’t want to hear it any more. He already knows, “so don’t bother writing to tell him”!!!!!!!! You know it’s wrong, but you can’t change it, so don’t bother trying. Although many societies are now moving to eradicate it, child abuse is still far too common worldwide. Not only must the attitudes of societies change, but children must be empowered, they must be encouraged to speak up and they must be listened to: their voices must be heard. 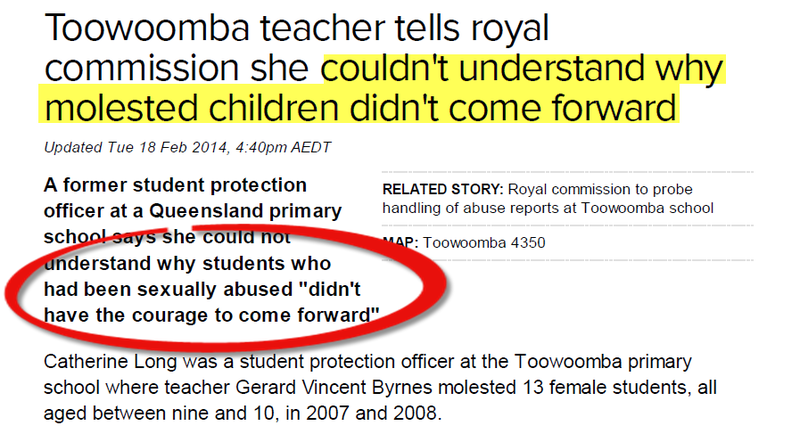 In a recent child abuse case that occurred at a Queensland primary school, the student protection officer reportedly said that she couldn’t understand why the children who had been sexually abused did not come forward. and still she says she doesn’t understand why the children didn’t come forward! It seems to me the children did come forward if the first (indicates there were more) complaint was made more than a year before anything was done about it. The children tried to say, but were not believed. The predator was believed and protected while the plight of the innocent victims was ignored. The report states that parents who complained about the abuse of their children were ostracised by the school community and made out to be the “bad guys”. Is it any wonder that, if not listened to and not believed, and if more is done to protect the offenders than the abused, the children become increasingly reluctant to tell? Or what about the parents who were ostracised and made out to be the bad ones? Doesn’t it make the message very clear – you are powerless. Your voice won’t be heard. Your opinion doesn’t matter. Carry this message over into countless other situations and you have a population who is afraid to speak up, fearing the disdain of reproach, the embarrassment of being unvalued and the helplessness of one’s message being unheard. How many times have you felt you must remain silent for fear of ridicule, rejection, or worse? How many opportunities for creating a positive change have been missed because the task seemed insurmountable or the personal repercussions too unpleasant? When have you stepped up and made that change happen because you were not afraid to speak up or speak out when faced with an issue you felt strongly about? What changes can we make to empower children (and adults) everywhere? 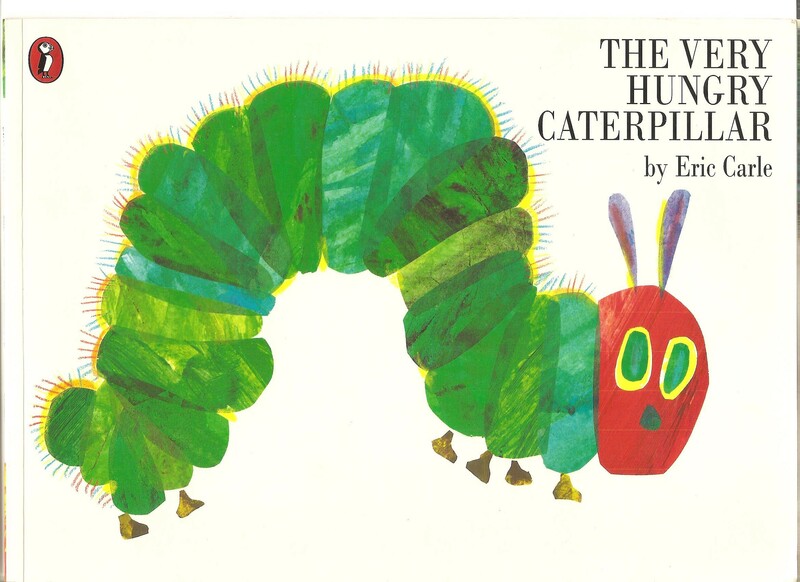 Would it make any difference to the magic of The Very Hungry Caterpillar if, after all these years, Eric Carle rewrote a corrected version with a butterfly emerging triumphantly from a chrysalis? What would that act tell all the countless children who have written to tell Eric about his mistake, and the many others who wanted to but were told there was no point? This entry was posted in Early childhood education, Education, Literacy education, Philosophy, Picture books, Self esteem and tagged Children, Children's literature, critical thinking, early childhood, education, empowerment, Eric Carle, Literacy, Picture books, Questions, reasoning, Student, thinking, thoughts and ideas on March 23, 2014 by Norah.